It is widely used in Thermoplastic application because of its compatibility with polymers and other organic additives. We introduce our company M/s Adinath Industries as a Manufacturer & Exporter of Calcite/Calcium Carbonate which is heavly used in making PVC pipes, chemicals, Glass making and many more. Being pioneers of the industry, we are engaged in offering an extensive range of Calcite Minerals. These products are highly acknowledged amongst the customers for their usage in building stone, paving and many more purposes. Our offered products are available as per the industry standards and needs of customers. Moreover, we provide products to the customers at industry leading prices. 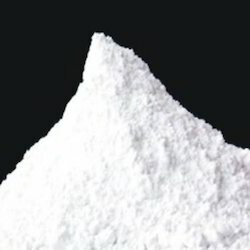 We are manufacture of quality calcite grits as per the customer specification. .
We are renowned firm formulating and supplying finest grade Calcite Powder. It is the natural form of calcium carbonate, which is highly demanded as filler for polymers, PVC pipes, and flooring and rubber industries. 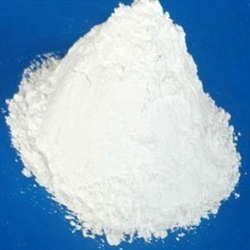 We offer calcium carbonate, which provide a greater covering strength, thus increasing the performance of high quality paints, oil synthetic and other coatings. The excellent whiteness of our carbonates avoid interference with the paint’s colors and contribute to their opacity and that the paint will cover, without dripping, the surfaces. Our clients can avail premium quality of calcite lumps from us. Our offered calcite lumps are widely appreciated by our customers, which are situated all round the nation. Known for its best quality, clients can avail this calcite lumps at industry leading prices from us. Calcite best transparent. Dark color.